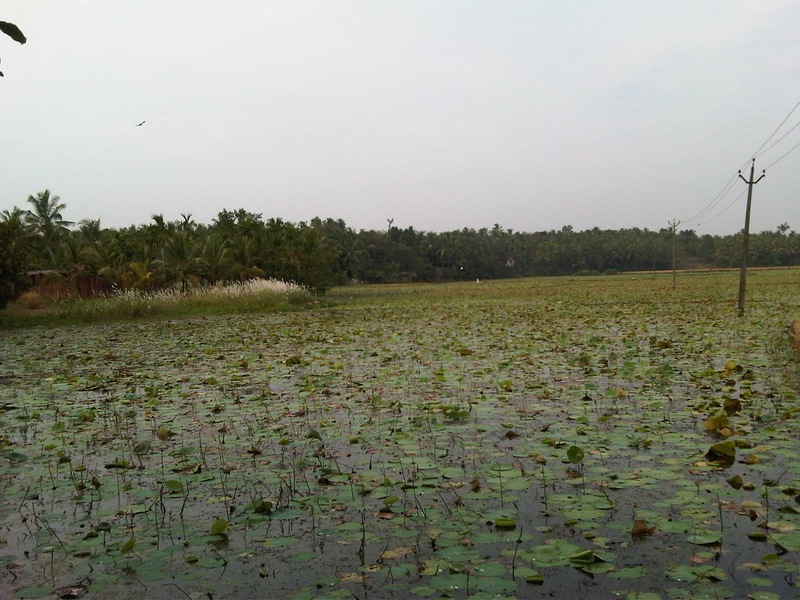 "I have been visiting Kerala since I was a little girl. And thanks to a travel bug for a father who also has a special place for Kerala in his heart, I have had the good fortune to visit really interesting places across the length and breadth of Kerala. But the road trip I took over a few hours along the river Nila helped me see a side of Kerala that I didn’t know existed. The first revelation was the story behind the famed Codacal Tile Factory, a name that I had been seeing on the roof tiles of my grandfather’s house, but knowing nothing about its historical significance. Especially that the Codacal Tile Factory was run by the Commonwealth Trust at Codacal, which is the successor to the Basel Mission Industries is a standing reminder of the bold and revolutionary attempt at social engineering in Malabar. I didn’t realise that Swiss and German missionaries started this initiative to support the newly converted Christians by providing them employment because they were ostracised by their communities post their conversion. Their activities spread rapidly in Malabar as the weaving factory at Codacal established in 1860. 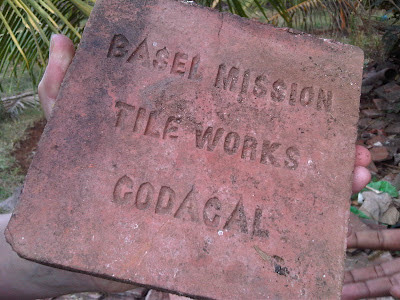 The Tile Factory at Codacal, started in 1887, is the second tile manufacturing industry in India. What I wasn’t prepared for was the spotting of remnants of some megalithic monuments that were buried in the courtyard of the factory. It was heart-wrenching to learn that some of these historical relics, some dating back to late 1800s and early 1900s were destroyed as recently as a few years ago over a petty land-grabbing issue! Missing an opportunity to preserve this historic marvel, private owners have left only this piece of the old tile factory. 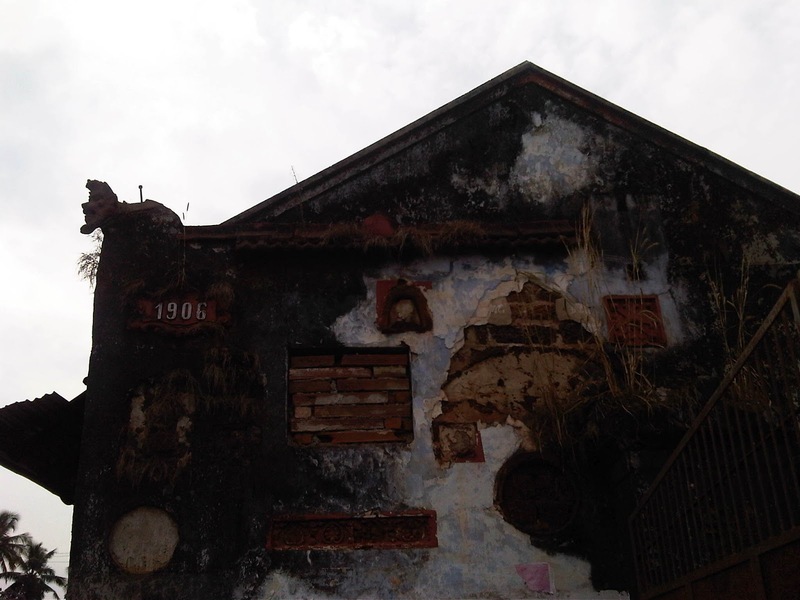 Icons linked to it's historical importance were removed by owners to impress upon a court enquiry that the place had nothing to do with Kerala history! I had been hearing about the Mamaankam festival and the rich history behind it all my life, but visiting some of the newly renovated sites like  Changamballi Kalari, Nilapaadu Thara, Manikkinar, Pazhukka Mandapam, and Marunnara, which were closely associated with Mamankam festival was something else. Thanks to some recent restoration work by the archeology department and a lot of background work done by responsible tourism players like The Blue Yonder, one gets to know these places exist. But what was really enriching for me was to hear stories from Gopinath Parayil, the soul behind The Blue Yonder, about what makes these places truly special and be the inspiration for us to live our lives today knowing that so many amazing incidents and experiences happened in the past that we could learn from. Some that stay fresh in my memory even after many weeks of making that trip. More than 5,000 acres of lotus ponds can be seen along River Nila. 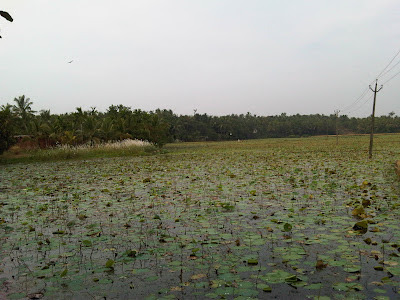 Muslim owned ponds supply lotus to most of the Hindu temples in Central and North Kerala. Beacon on religious harmony and business sense! The visit to Thunjan Parambu, a place like no other where the father of Malayalam literature,Thunchathu Ramanujan Ezhuthachan taught and spent a better half of his life writing the Malayalam Ramayana. Legend has it that the Ramayana in Malayalam was recited by a parrot to the author so that he could write without a break!! I don’t even know what to call it- museum, literature park, breathtaking Kerala architecture. It was all this and more. The beautiful bronze statue of the parrot with an Iron stylus and the palm leaf, the unique Nox vomica tree that had sweet tasting leaves as opposed to its usual bitter sour one just added to the mystique. I need to bring my little boy back to this place that has the largest collection of Malayalam manuscripts, and get him to write on the white sands of Thunjan Parambu as is the tradition there to initiate the young into acquiring knowledge! The impulsive decision to see the exciting Riverside Retreat near Kuttippuram that has been the hub for many a writer to be inspired got me to see the Nila from many angles, each more beautiful than the other. Almost like she was enticing me to discover more. Sitting on the banks of Nila finally as the sun was setting with the ezan from the mosque across the river almost touching the soul was surreal. It took every ounce of will power to get ourselves out of that magical place. I for sure will be back soon to discover yet another magic around Nila." 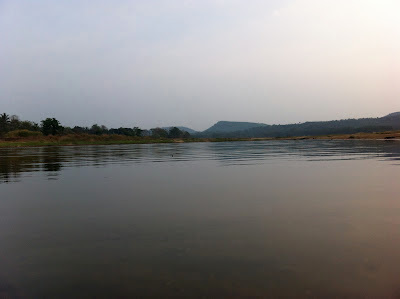 Nila flowing through Desamangalam region. Pandavas are believed to have bathed in these erstwhile ghats before their journey to the heaven. Shared by Meena Vaidyanathan. Published earlier on 'Welcome Kerala' Magazine.